ResonatorGuitarGuide @ResonatorGuide, October 5, 2013. Al (@Resoguitar), October 5, 2013. ResonatorGuitarGuide @ResonatorGuide October 1, 2013. DJ Bob @zczbob September 27, 2013. BLUESMUSE38. A kind tweet about last week’s blog from Al@resoguitar prompted this latest post. 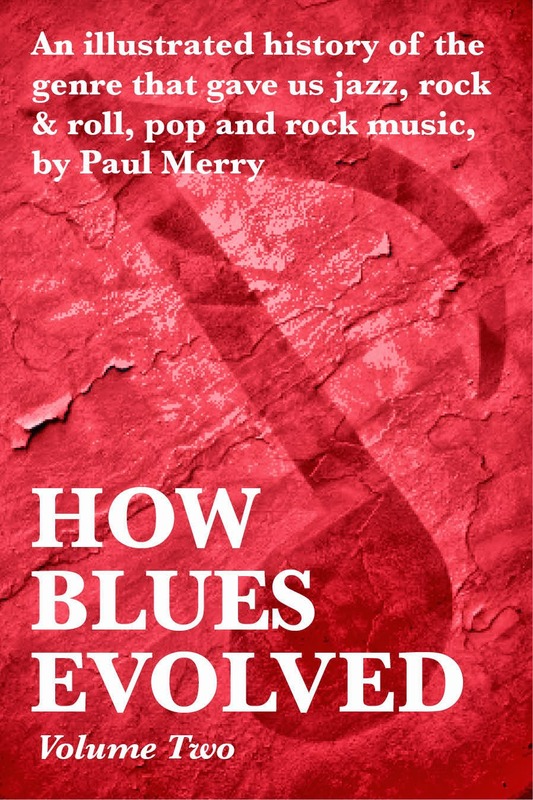 while researching How Blues Evolved Volume Two? 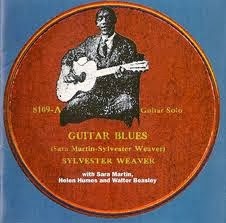 The first recorded blues guitar from 1923.
instrument maker, who had moved to L.A., to help solve the problem. 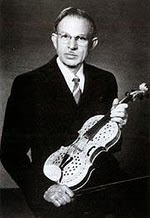 in 1927, they launched the National resonator. Lyrics and Filthy Rugby Songs (21 August archive). Chicago Blues in the 20 May archive.) Have a listen on the link below. forged by Sylvester Weaver, except louder (now that he had his resonator guitar). it’s been estimated Red made over 300 records. 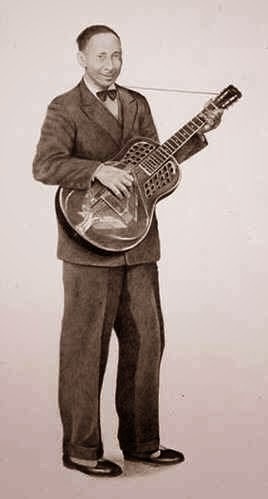 the Dobra resonator guitar in competition to National’s resonator. electric guitar was born; but more about that later. For more information on the birth of the electric guitar, why not invest (going for a song) in How Blues Evolved Volume Two. Here are the links and here’s a picture of the Ebook. Sunday, 29 September 2013. London. Down by the River Thames at Greenwich, by the restored tea clipper, Cutty Sark, a busker plays and sings some pretty decent blues on a shiny all-metal resonator guitar. Not a soul watches or listens. A couple of hundred yards away, a one-man band plays an MOR version of the Stones’ Get Off Of My Cloud on a banjo, tambourines on his ankles, and draws a crowd. Was it just down to the location of their patches? I hope so.